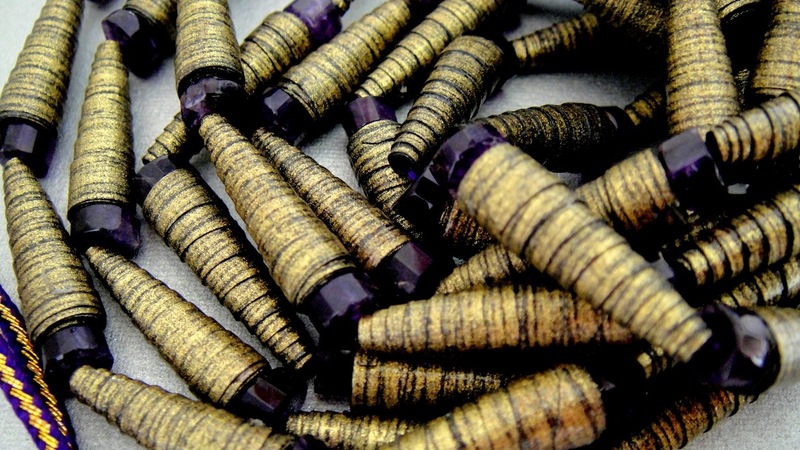 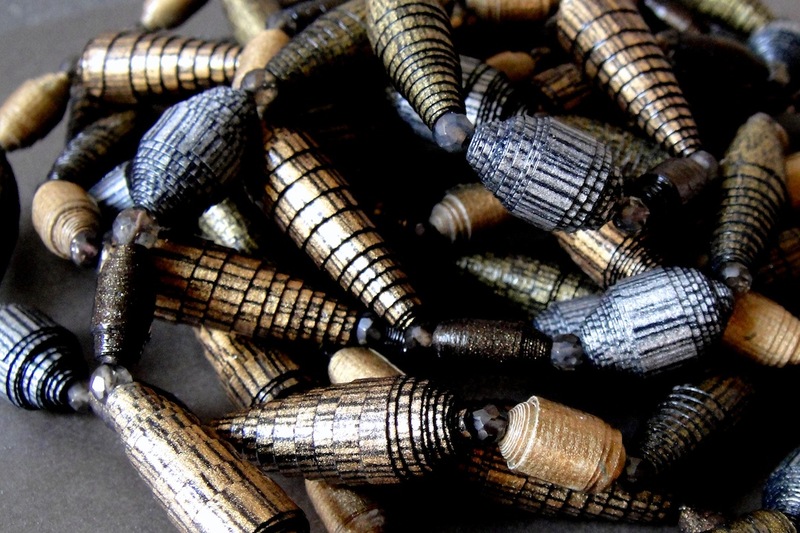 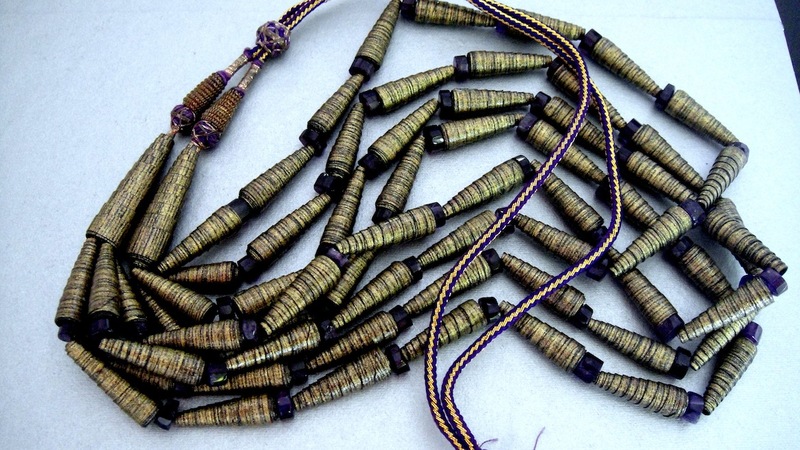 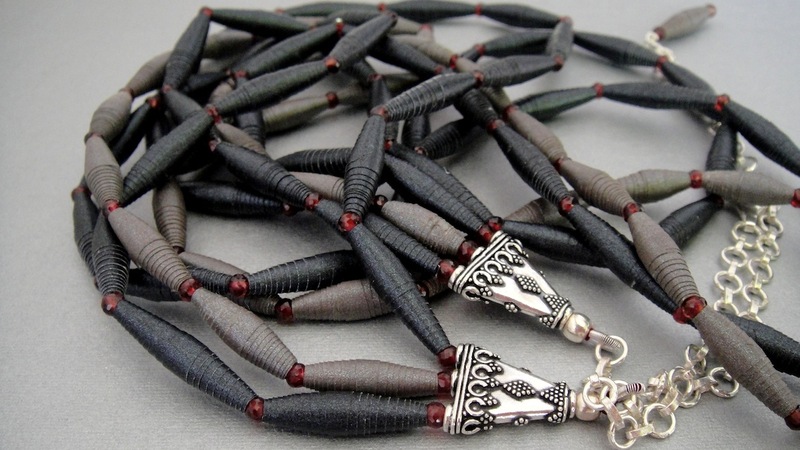 Artisanal paper bead necklaces, embellished with stones. 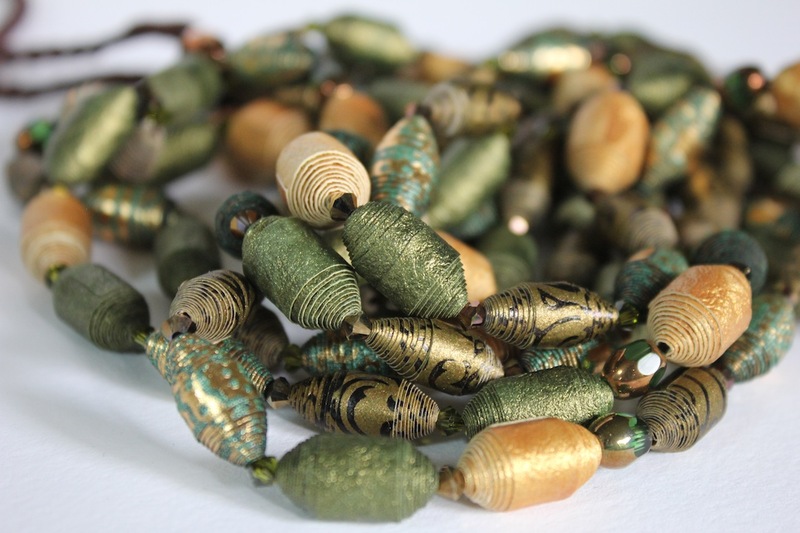 These necklaces are hand-made from paper which is precision cut and carefully rolled, then sealed to make a bead. 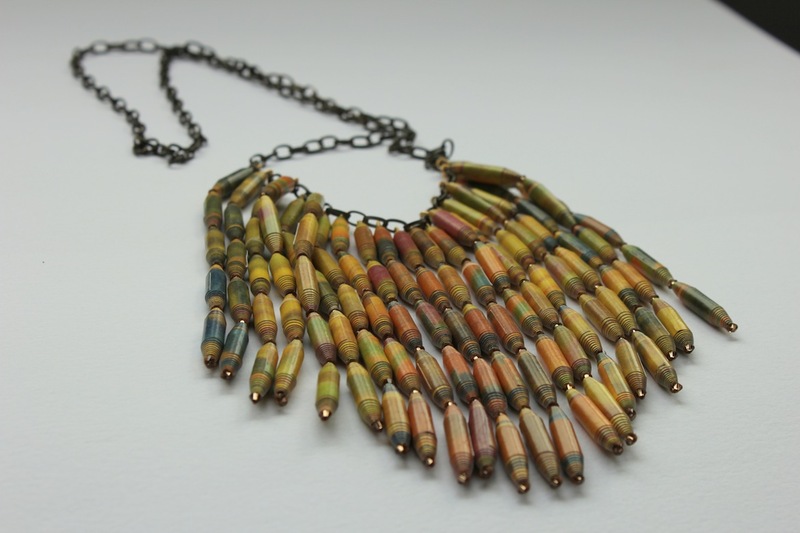 The patterns and colours of the papers used will determine the look of the bead. 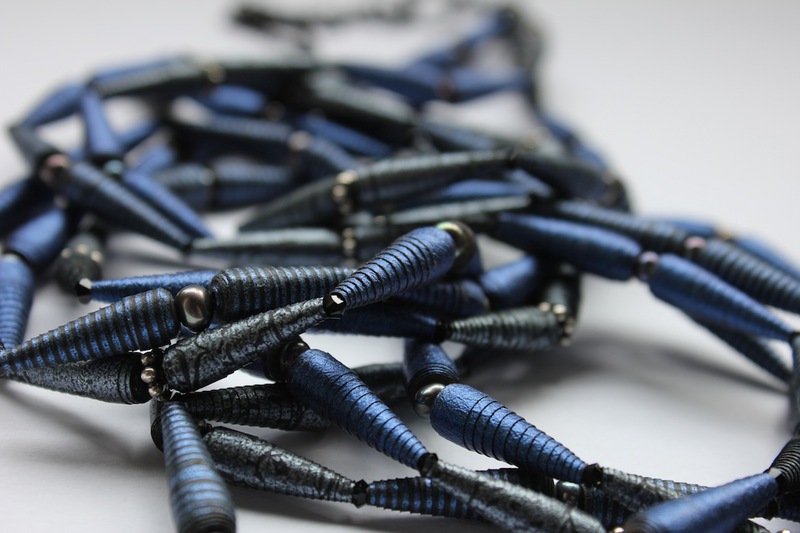 These necklaces are embellished with Swarovski crystals or semi-precious stones and sometimes silver. 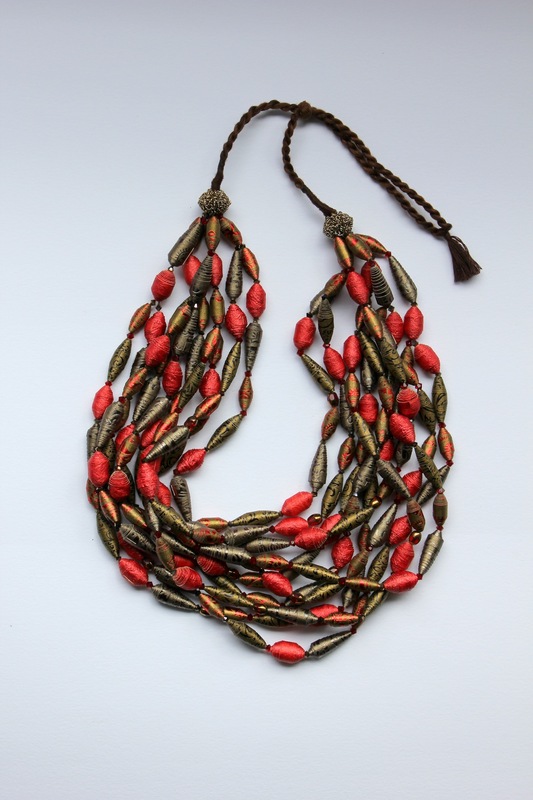 Even though they are made of a material that is commonly associated with fragility, Paprika necklaces are tough enough to take on the rigors of normal wear. 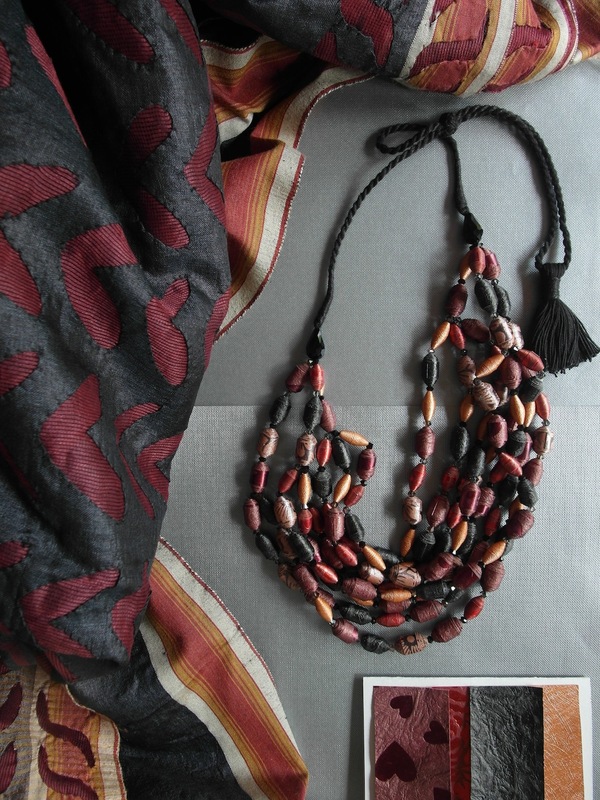 The paper is treated to be water resistant – though not waterproof – and can handle dampness and moisture. 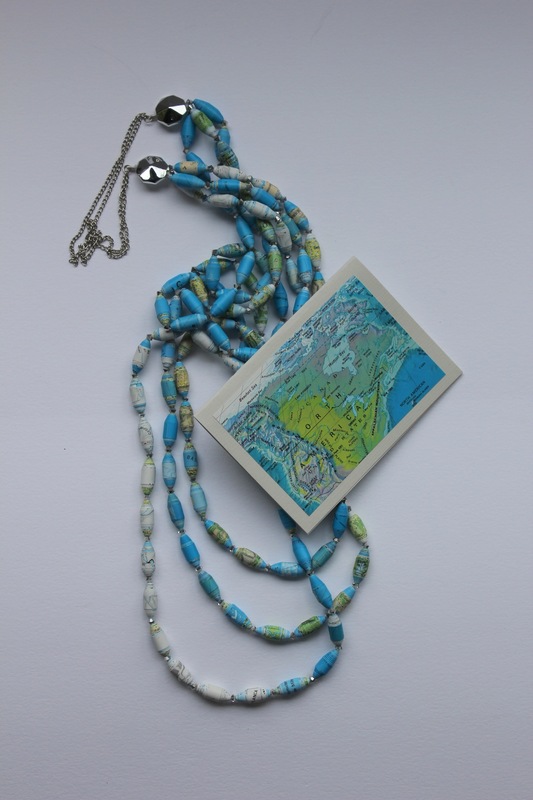 The Small World necklace is made from the pages of an old atlas. 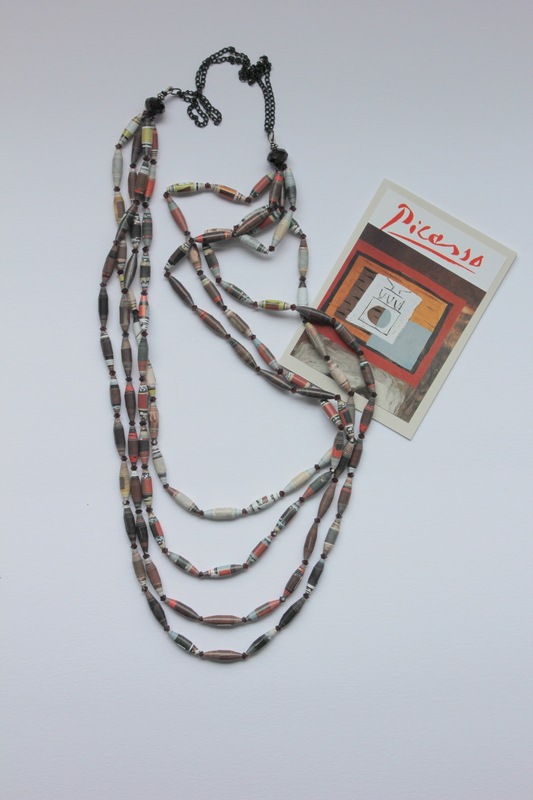 The Artist Series necklaces are made out of artworks of famous painters. 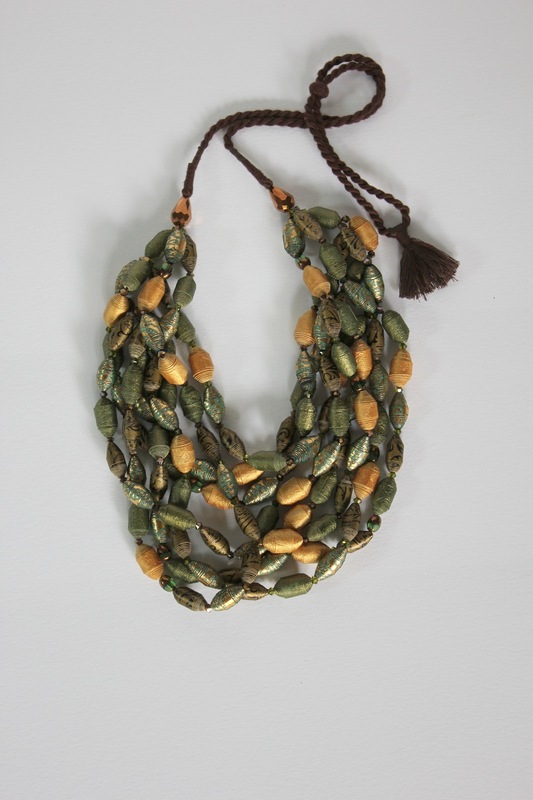 Vogue necklaces are from the glossy’s fashion shoots. 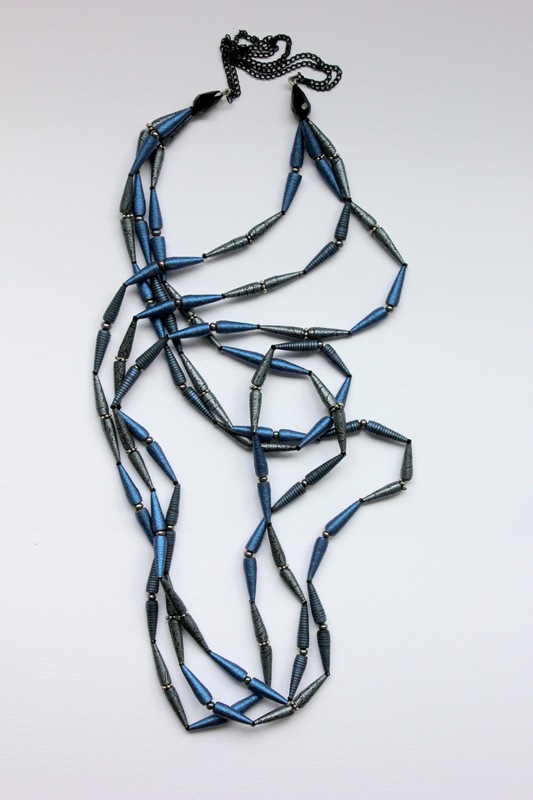 There is even a Tin Tin necklace from the pages of a comic ! 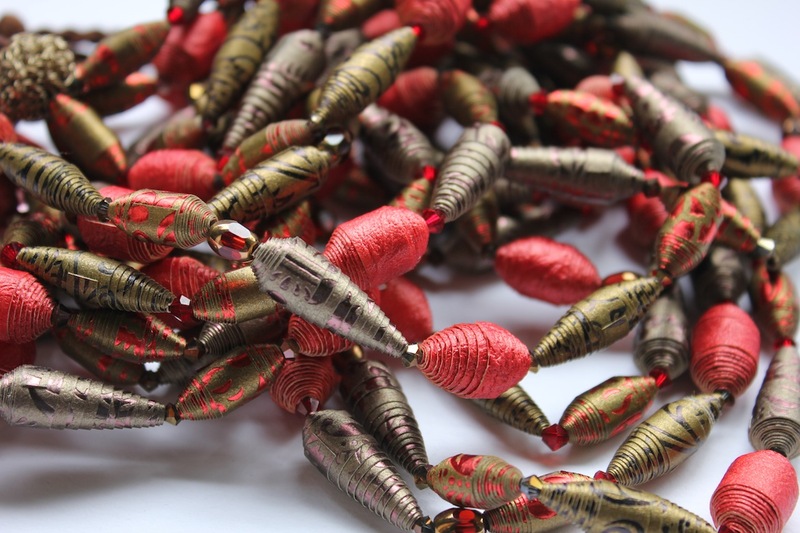 Paprika necklaces have an unusual look and feel, are fun to wear and make a very special gift.